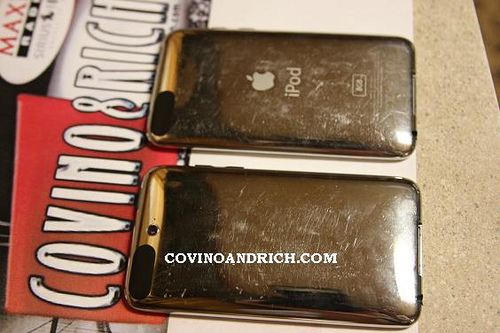 Earlier this week, MacRumors received a somewhat blurry image claimed to be the next-generation iPod touch. 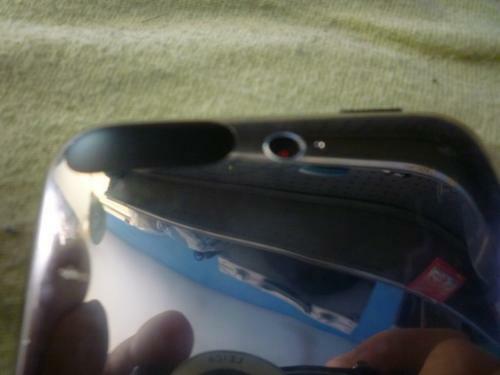 The image depicts a camera centered at the top of device's rear, corresponding with numerous third-party case designs appearing from Chinese manufacturers in recent months. While we aren't able to confirm the authenticity of the image, the same source has submitted teardown images of the rumored next-generation device to the on-air blog of Covino & Rich, hosts of the Maxim Radio talk radio show on Sirius and XM satellite radio. The blog post includes additional information from the source regarding the origins of the device. -to show it's real. If you look at the board, it states Apple 2009 very clear. The 2nd gen AKA iPod touch out now, has 2008 on it. They haven't revised the 2008 touch. I will compare them in pic in a sec. 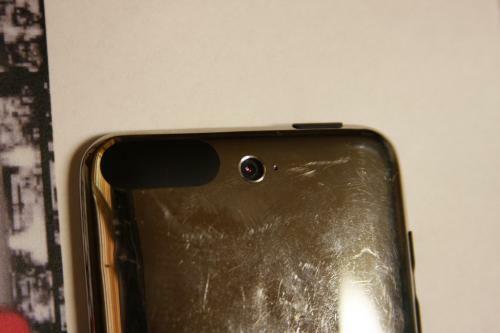 -BTW, these phones NEVER leave Apple and this one left but it was a durability test phone, so that's why the screen is all gridded off and cracked. -The side by side picture is the inside of the current gen vs the 3rd gen (one coming out in September). -I acquired this from a guy that I buy parts phones and iPods from. I believe he's a recycler in ***********, so what most likely happened is that Apple threw this away and he some how got it and sold it for parts. 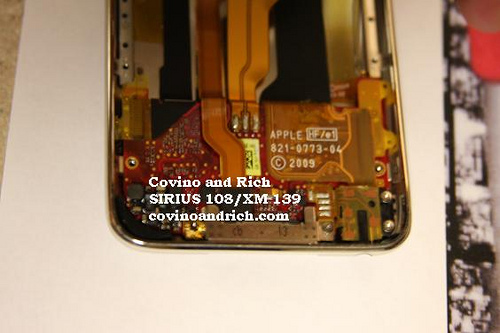 The Covino & Rich blog post includes additional images showing several other angles of the device, as well as some internal shots revealing that the purported next-generation iPod touch appears nearly identical to the current version. The rumored next-generation version does, however, appear to contain a red motherboard in contrast to the typical black circuit boards. The use of red or other alternate colored circuit boards is relatively common in prototype devices. Apple has been rumored to be holding a media-focused keynote event in early September, where many are expecting to see the launch of new iPod touch models. Update: Addressing comments that one of the images exhibits pixelation around the camera, suggesting possible Photoshop modification, the blog author has uploaded the original, larger image for examination. Update 3: The Covino & Rich blog appears to be down at the moment, so we have posted here an image from the blog entry showing the red motherboard, which is indicative of the device being a prototype. he's referring to the fact that it's not an itouch..it's a TOUCH. no i.
iTouch is the contracted form for iPod Touch. It is similar to the english language where there are don't,(do not) couldn't (could not). Generally contractions are accepted everywhere except in major papers, but if I recall correctly no one is writing a major term paper here so contractions do not matter, there for iTouch is acceptable.